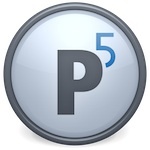 With the release of version 5.6, Archiware is also offering the new ?P5 Desktop Edition?, an essential license package including P5 Archive and P5 Backup to a single LTO tape drive, intended to make P5?s high-end data security and broad feature set affordable for single users and small groups. Archiware is proud to be hosting QNAP, leading provider of NAS storage systems and latest hardware partner, on the Archiware booth 7.D35, with P5 software running on QNAP NAS hardware and experts from QNAP available for product enquiries and demonstrations. New to the record list of 31 software and hardware partners Archiware boasts at this year?s IBC is Munich-based storage vendor FAST LTA, manufacturer of the Silent Brick \”COLD Storage? with transportable storage containers. FAST LTA, now a certified Archiware partner, is showing their product line on booth 7.D21. As of IBC 2018, Archiware is proud to be represented by Global Distribution as a new distributor for the United Kingdom, working with existing distributor JPY. A demo setup of the P5 Desktop Edition on a Mac and including an mTape Thunderbolt LTO tape drive by mLogic will be available on Global Distribution?s booth 7.A55.